You are here: Home / D-Cubed Technologies Inc.
With over 50 years of experience in the data communications industry, D-Cubed Technologies Inc. engineers, installs and manages multi-site systems for Fortune 500 companies. 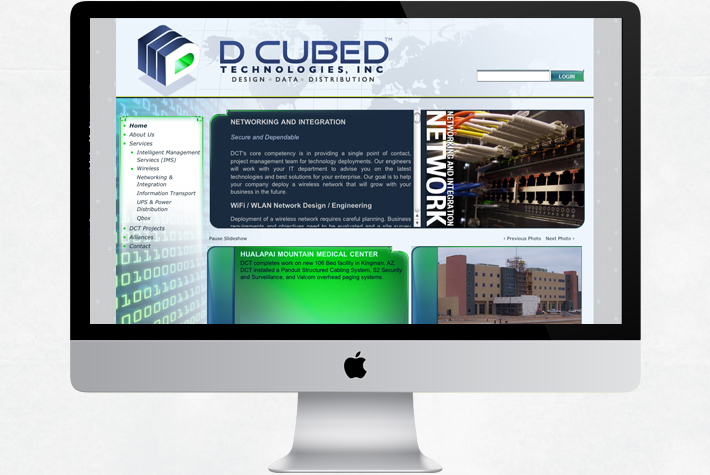 D-Cubed Technologies Inc. was looking for clear, cohesive and flexible visual brand along with an online presence including marketing and sales materials. Look Twice Design has been working with D-cubed Inc. for the past four years. LTD began by developing a new brand & identity system. This unified D-cubed’s public image with a professional and cohesive brand that was applied across all marketing material. 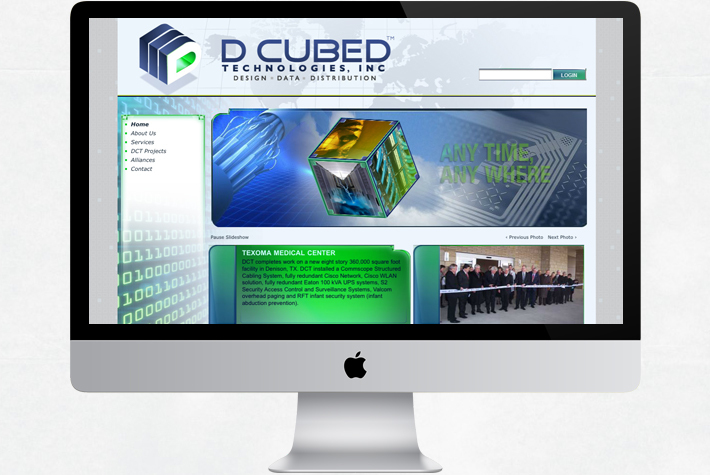 LTD designed and developed a web presence that showcased D-cubed’s products and services. The user friendly interface allowed users to easily access the information needed, while providing as a platform for questions and conversations.